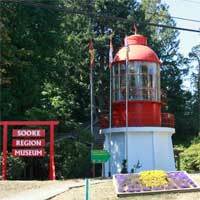 Sooke is located on the south western tip of Vancouver Island, British Columbia, Canada. It is a scenic half hour drive from BC's capital city Victoria. Open to all Sooke Community Arts Coucil artists, carvers, ironworkers, fabric artists, and any person creating objects relating to the Sooke Region, including Jordan River, East Sooke, Port Renfrew and nearby regions.